SproutVideo makes it very easy to take advantage of video for SEO purposes. We automatically generate video sitemaps for you that make it incredibly easy for search engines to find your videos and display them in search results. There are three steps you need to take to get your video sitemap setup. 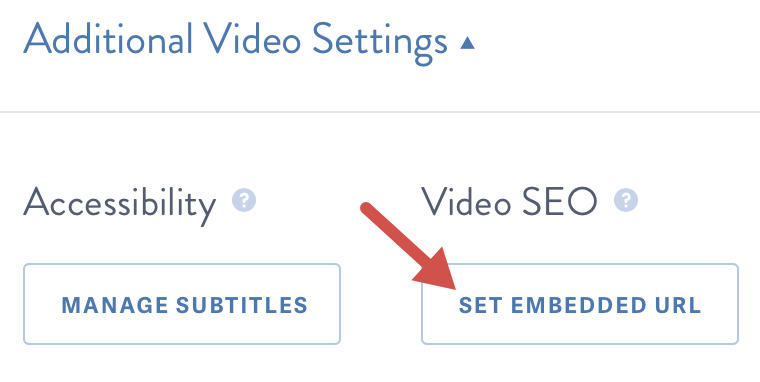 First, obtain your video sitemap URL from within your SproutVideo account. 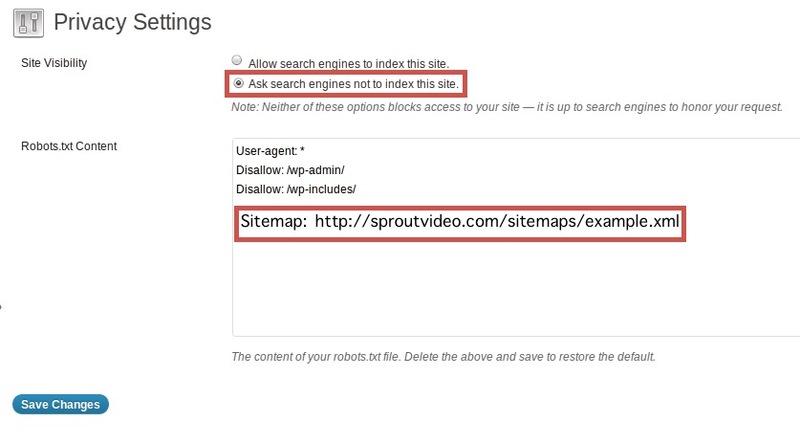 Second, add the video sitemap URL to your robots.txt file. Finally, register your robots.txt file with SproutVideo. We will verify your robots.txt file automatically, and submit your video sitemap to all major search engines. We’ll also notify them whenever you’ve added new videos. Next, open up your robots.txt to edit it. 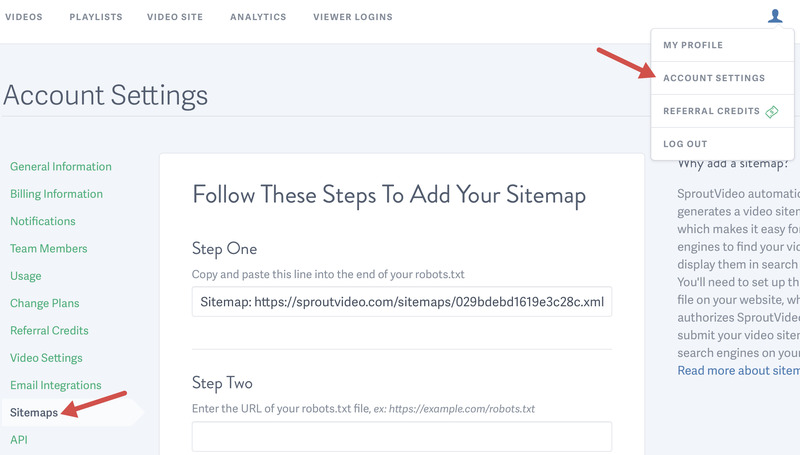 If you are just using a text editor, add your sitemap to the bottom of your file like this: Sitemap: http://sproutvideo.com/sitemaps/example.xml If you do not already have a robots.txt file, make sure to create it at the root of your website. Go to your sitemap settings page. Click the ‘Verify robots.txt’ button. If we are able to verify that you have successfully set up your robots.txt file, we will submit your sitemap to all of the major search engines and notify them whenever you’ve added new videos. Any video that has an Embedded URL set will be automatically added to your video sitemap with the meta data you filled out on the video details page. Usually it’s best to have the title of your video match the title of the page on which the video is embedded. So, if the page on which you are embedding the video has a meta tag title of “How to use the SproutVideo Uploader”, for instance, you should set the title of your video to be the same. This will make sure that a video snippet will be displayed along with your page in search engine result pages. Try to be as descriptive as possible but avoid abusing keywords as search engines tend to frown upon keyword overloading. It is best to not have too many tags. Three to four tags at most works best. Keep the tags short and simple. How long will it take for my videos to start showing up in searches? Unfortunately, the answer is, “It depends.” The amount of time before Google and other search engines start indexing and displaying your videos in search results is highly dependent on many different factors such as PageRank, the number of links to the page you want to be indexed, the speed of your website, and many others. Some people have seen their videos start showing up in results in as few as 3 days and others have had to wait several weeks. The best advice we can give you is to just be patient, and try to improve your on-page and offsite SEO to increase your chances of getting indexed more quickly.